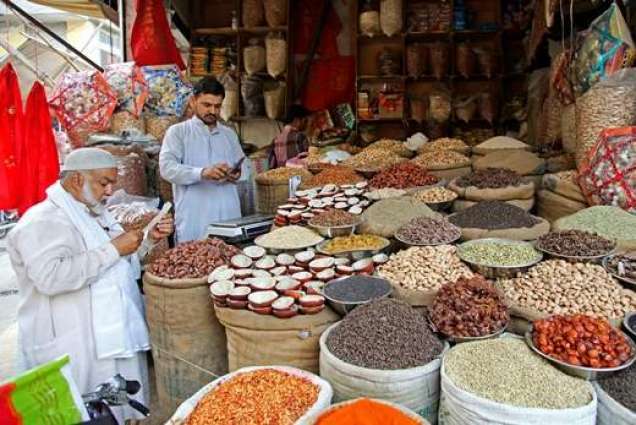 ISLAMABAD: The Consumer Price Index (CPI) reached 6.05 per cent in December 2018 from 3.75 per cent in December 2017, according to Pakistan Bureau of Statistic (PBS). The PBS collects retail and wholesale prices to compute the CPI on a yearly basis, Wholesales Price Index (WPI) on a monthly basis and Sensitive Price Index (SPI) on a weekly basis. In December 2018, the CPI reduced by 0.41pc, WPI reduced by 0.88pc while SPI witnessed an increase of 2pc, according to the PBS. As per the PBS inflation figures issued on Wednesday, from December 2017 to December 2018, average natural gas prices witnessed an increase of 42.66pc, kerosene oil 32.6pc, motor fuel 26.41pc, newspaper 19.31pc, transport services 15.78pc, motor vehicles 12.4pc, education 12.16pc, water supply 12.05pc, spices 11.88pc, meat 11.65pc, construction input items 10.71pc, dry fruits 10.61pc, chicken 10.40pc, medical fee 10.33pc, personal equipment 10.12pc, and cosmetics 10.1pc. The data revealed that over the year, average prices of onions reduced by 34.34pc, potatoes 22.86pc, pulse (mash) 18.57pc, tomatoes 9.23pc, gram (whole) 8.86pc, pulse (masoor) 7.2pc, besan 4.85pc, pulse (moong) 4.21pc, fresh vegetables 3.89pc, pulse (gram) 3.09pc, eggs 1.91pc, and sugar 0.81pc. The data stated that on YoY basis, average trimmed core inflation increased from 4.7pc to 6.9pc. Non-food and non-energy core inflation increased from 5.5pc to 8.4 pc. 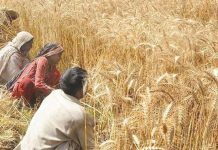 On monthly basis, commodities that witnessed an increase in prices included honey 5.61pc, pulse (moong) 4.06pc, pulse (gram) 2.96pc, beans 2.71pc, pulse (mash) 2.55pc, pulse (masoor) 2.29pc, cooking oil 1.92pc, and dry fruits 1.74pc. Prices of commodities that witnessed a decrease included fresh vegetables 21.78pc, tomatoes 21.14pc, potatoes 20.23pc, onions 13.23pc, chicken 6.8pc, fresh fruits 1.83pc, and eggs 1.31pc. According to PBS data on account of Consumers Price Index (CPI) inflation, from December 2017 to December 2018, the gas price increased by 85pc, train fare 56pc, CNG 30pc, diesel 29pc, iron bar 24pc, petrol 24pc, kerosene oil 22.2pc, Gold Tezabi 20.5pc, and mobile phone call charges 18pc. On YoY basis, prices of the items, on account of CPI inflation, that witnessed a reduction from December 2017 to December 2018, included tomatoes 56.3pc, onions 53.45pc, potatoes 36pc, airfares 22.2pc, pulse (whole) 16pc, train fare 13.6pc, eggs 9pc, pulse (mash) 6.32pc, pulse (masoor) 1.2pc. The CPI inflation general increased by 6.2pc on YoY basis in December 2018 as compared to an increase of 6.5pc in the past month and 4.6pc in December 2017. On month-on-month basis, it witnessed a reduction of 0.4pc in December 2018 as compared to an increase of 0.1pc in the past month and a decrease of 0.1pc in December 2017. Core inflation measured by non-food non-energy CPI (Core NFNE) increased by 8.4pc on YoY basis in December 2018 as compared to an increase of 8.3pc in the previous month and 5.5pc in December 2017. On MoM basis, it increased by 0.3pc in December 2018 as compared to an increase of 0.4pc in the previous month and an increase of 0.2pc in the corresponding month of last year i.e. December 2017. Core inflation measured by 20pc weighted trimmed mean CPI (Core Trimmed) increased by 6.9pc on YoY basis in December 2018 as compared to 6.7pc in the previous month and 4.7pc in December 2017. On MoM basis, it increased by 0.3pc in December 2018 as compared to an increase of 0.3pc in the previous month and an increase of 0.2pc in corresponding month of last year i.e. December 2017.